Kerseys solicitors offer legal services to see you through from the cradle to grave. Their team of legal experts can help you with the legal side of buying a house, tying the knot, then possibly separating and dealing with custody. They can also sort out wills and probates for the family and loved ones you leave behind. Commercially, they help make sure businesses are legally protected from start up to exit. And when life does not go smoothly, they are at hand to deal with disputes through litigation or a lesser known alternative, mediation. Here managing partner and civil mediator Anthony Wooding explains the benefits of mediation. Mediation is a way of resolving disputes without the need to go to court. It involves an independent third party, a mediator, who helps both sides come to an agreement. It is an assisted, confidential negotiation, which enables people to find their own solution. Mediation gives you more control than going through a court or an arbitrator, which will impose a third solution. Through mediation you will have an input and can at least partially control the outcome. The main principles are that it is voluntary, impartial, confidential and decision making lies with the concerned parties. Who can act as mediator? Lay practitioners may be involved, but you may wish to use a professional, neutral party. Disputes can become very heated, even commercial ones, and it is beneficial to have someone experienced in negotiation at your side. Lawyers negotiate all the time, so they have learned how to exchange points effectively. They can also establish a case and build up rapport. Mediation is a flexible process that can be used to settle disputes in a whole range of situations. It can include consumer disputes, divorce, consumer disputes and business partnership disputes. It shouldn’t be used when there’s a power imbalance, such as in the case of domestic violence. This is because you cannot be sure that there is true agreement when one party may be under threat from the other as to what may happen to them after the mediation. What are the benefits of using mediation? Courts are inevitably expensive, particularly when you take into account witness statements, an exchange of documents, compiling experts’ reports etc . It can also take 12 to 18 months to get to trial. With mediation, it is likely parties could reach an agreement in at least half the time and half the cost. As legal aid has largely been removed from family law, it is even more important nowadays to keep legal costs down. It can also enable parties to protect their confidentiality. For example, Nigella Lawson’s and Charles Saatchi’s divorce was very public, but this could have been avoided through mediation. It can help protect your assets in the long run. Business partners, for example, could risk losing a business worth hundreds of thousands of pounds over a dispute. But with mediation, both parties can stake their claim and an agreement can be reached which will protect the future of the business. Mediators help parties reach a solution which is agreeable to those concerned. 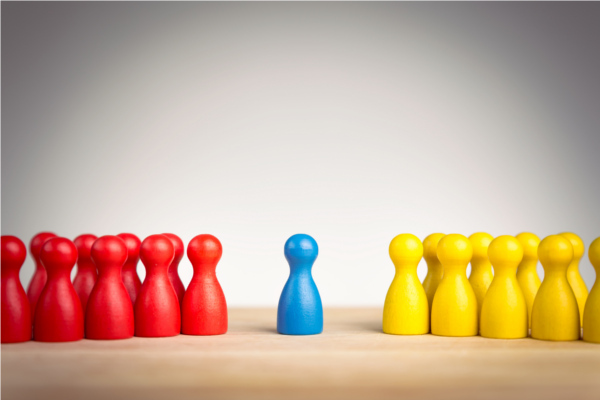 Mediators avoid taking sides, making judgements or giving guidance. The parties establish their cases and sign a confidentiality agreement. In a nutshell, the parties may be based in separate rooms within a building and the mediator may go backwards and forwards several times to pass on each sides’ points. The mediator will look at the best alternative to negotiated agreement (batna). This means you look at the best you could get in court, if you don’t get the result you want. They will also look at the worst alternative to negotiated agreement (watna). The cost is usually split between the concerned parties. What if the parties cannot reach an agreement? Mediation is a voluntary process and will only take place if both parties agree. It is a confidential process where the terms of discussion are not disclosed to any party outside the mediation hearing. They can still go to court but details about what went on at the mediation may not be disclosed or used, except perhaps if there is later a dispute as to whether an agreement was reached or not. Mediation has been compared to counselling. What are your thoughts on that? This is a common misconception but mediation is definitely not counselling. Mediation involves engagement with all parties in a confidential manner, but it does not look at the broader concept of people’s wellbeing. Can you give examples of where mediation has been successful? It is difficult to give public examples as it is a confidential process. However, I know from my own experience that parties involved in mediation are often satisfied because it’s relatively speedy, cost effective and they get to have a voice in the outcome. Can you give examples of where it could have been used? Nigella Lawson and Charles Saatchi’s divorce went through the courts and was very public. It led to public scrutiny about their private lives and ultimately Nigella was stopped from boarding a flight to the United States after confessing in court to taking drugs last year. I’m not saying you can mediate criminal offences, but that there are so many unforeseeable consequences of having a public split or dispute – be it a family or commercial matter. Mediation means people can have a say in the final decision without having to air their dirty laundry in public. A great reference source for mediation is the clerksroom, where you can find listed, qualified mediators. It’s worth checking their credentials and history. Although a mediator can cover any area, it can be helpful if they have previous experience in that field – be it divorce or boundary disputes, for example.